Welcome to the family hotel of the Bergauers. 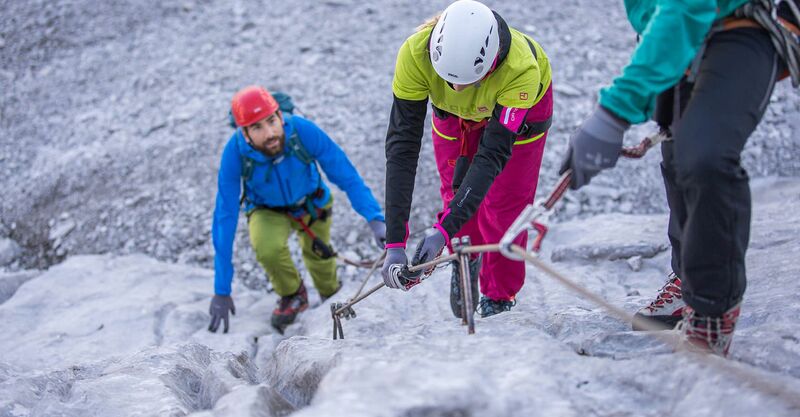 Feel good with Alpine charm. The slopes at the front door. To get up, to have breakfast, to go. Refreshing mountain air, breathtaking views. The valley station “Silvretta Montafon NOVA” in Gaschurn is located just approx. 100 m away, practically outside the front door. 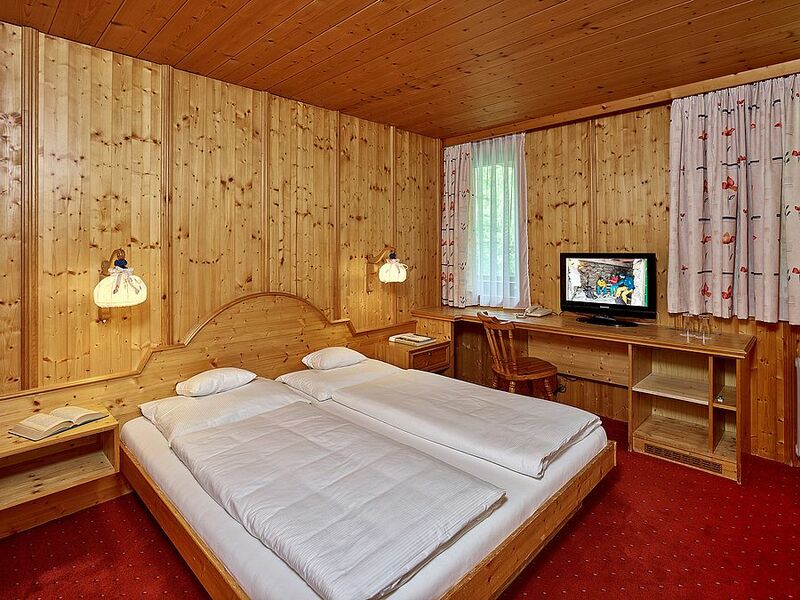 Besides the outstanding location, you will be convinced by the magnificent mountain panorama and our comfortable rooms with beautiful wooden fittings. 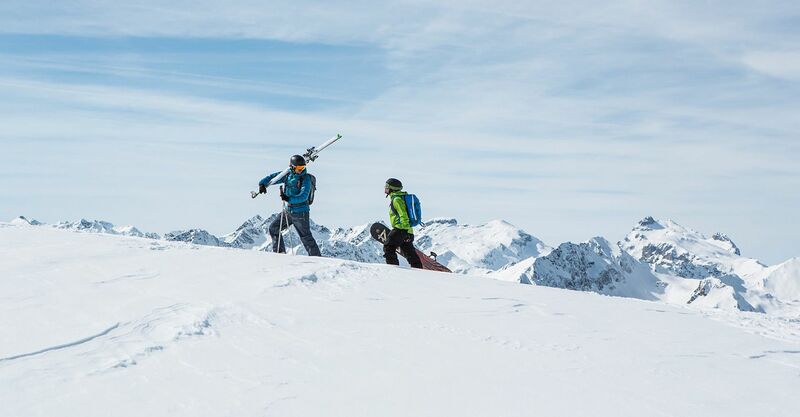 You can round off your active day in the Montafon with a relaxing sauna session or with a well-earned beer in the evening at our hotel bar. Our centrally-located traditional hotel pampers you in the morning with freshly prepared egg dishes. 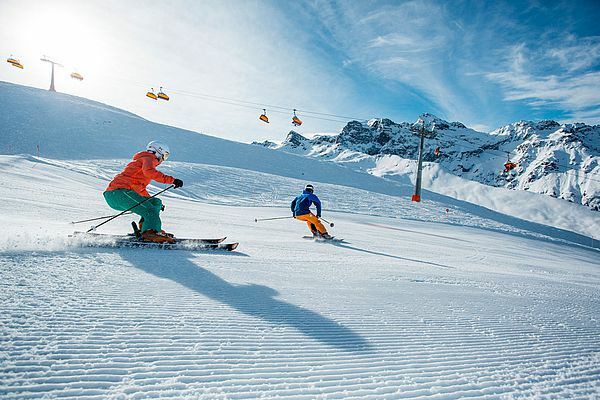 And after a hearty breakfast, you can be on the pistes in just a few minutes! In the afternoon, you can make a quick stop for coffee and cake in our Stone pine panelled parlour. 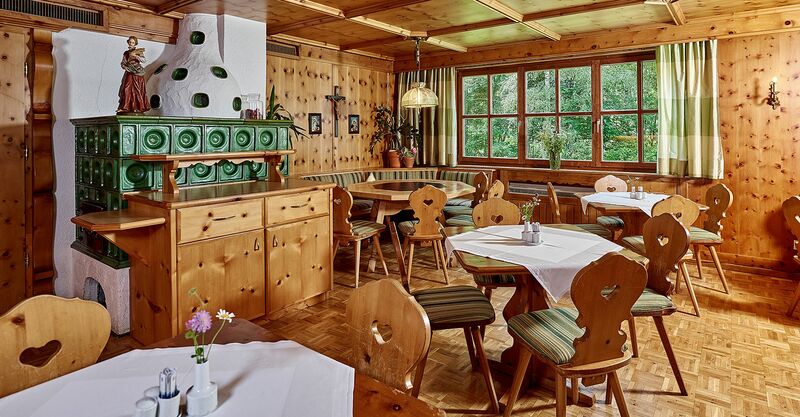 You can book your evening meal in the organic Restaurant Saladina or in the Mühle restaurant comfortably at the hotel. Arrive, unwind and relax! 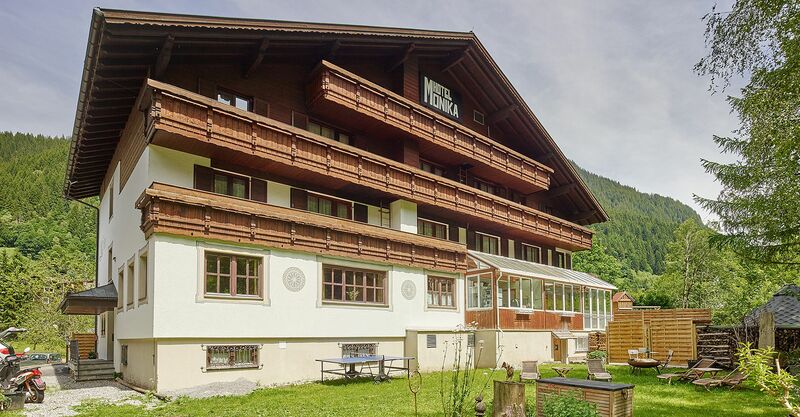 The subtle scent of our wood-panelled rooms is reminiscent of the pure natural landscape of the Montafon region. 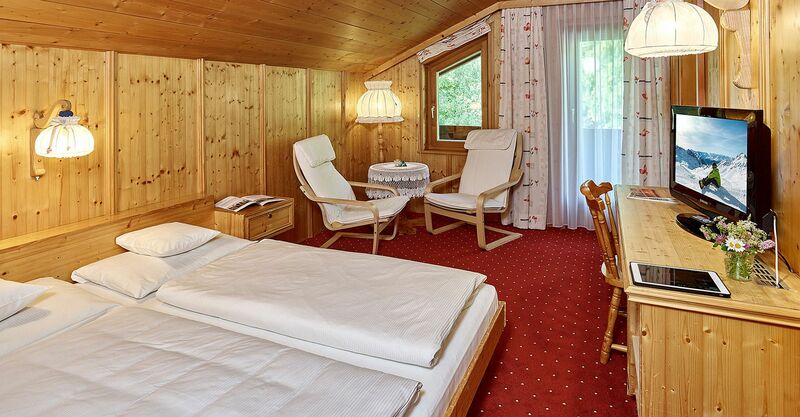 In our cosy beds, you will enjoy a deep sleep night after night, dreaming of your next day in the alps.